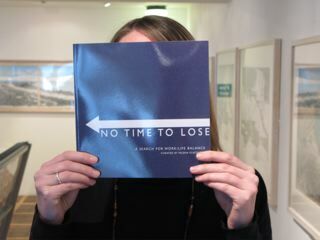 Our publication, No Time to Lose: A Search for Work/Life Balance, has finally arrived! Staff at PVA report that it looks great! My copy should be reaching me by mail in a few weeks. Information about how to order your very own copy coming soon!! It’s a couple months old, but I just ran across it today.